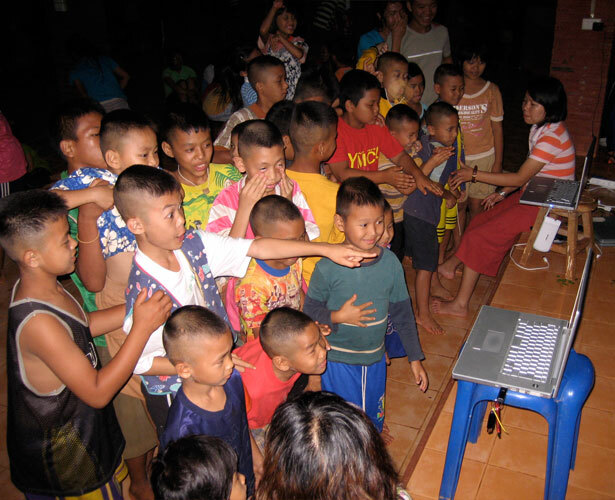 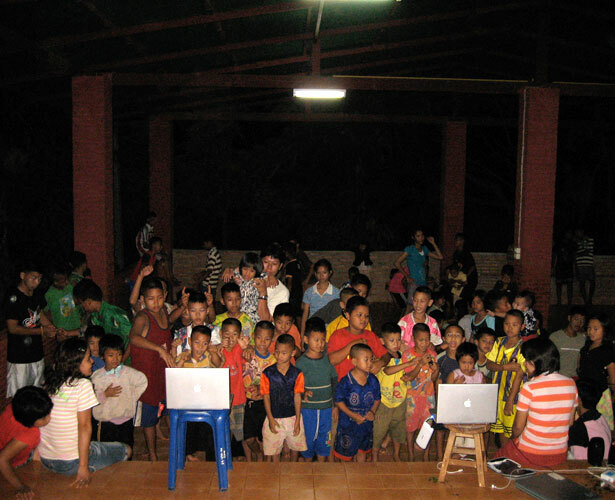 With the support from an associate professor of the Chiang Mai University, I gave a lecture about the art of using computers, and exhibited my works in a children’s orphanage. 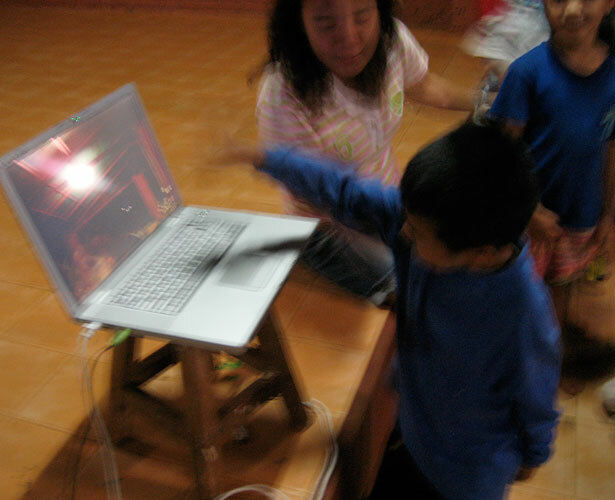 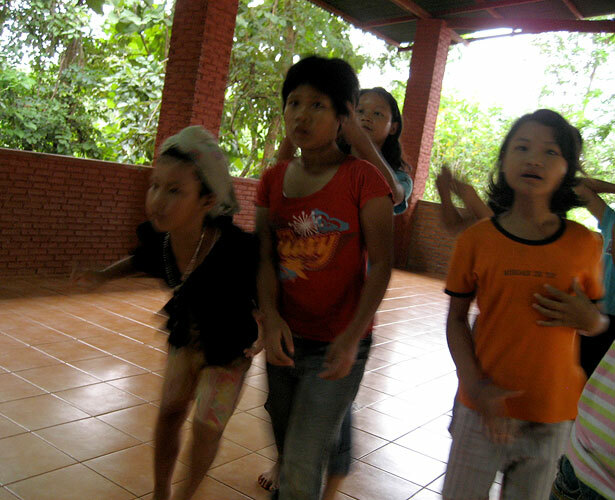 The image analysis program I was developing in this time did not work properly when used by many people, so I created a simple video and audio sampling and cut-up application with MaxMSP Jitter while observing the movements of the children in the orphanage. 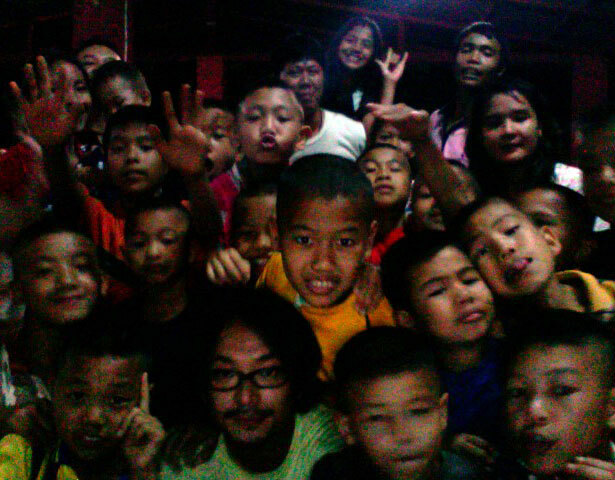 I was impressed that the children kept playing with my works continuously even though the exhibition lasted for over an hour.